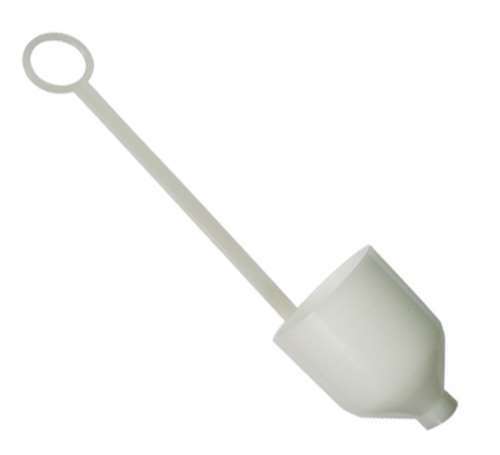 Viscosity cup features a plastic cup with brass drain port and a long dip handle. Similar to a #4 cup (but not certified). Although not a Ford #4 cup, it has everything needed for thinning paints to a consistent flow viscosity. The extra long handle is great, allowing the cup to be dipped to the bottom of a one gallon paint container.